Homeschooling parents find some school boards are easier to deal with than others. Western Québec is one that has a reputation among homeschooling families for being particularly difficult. 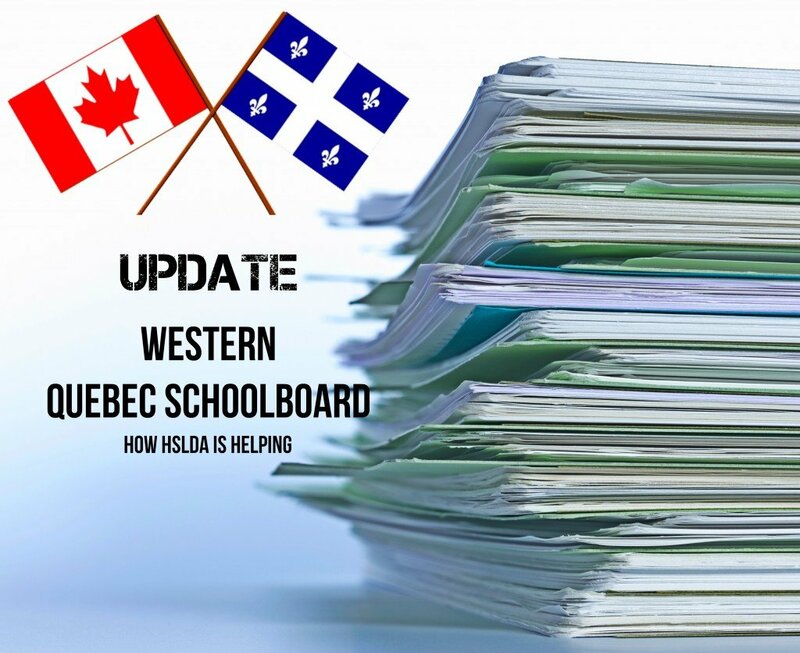 Homeschooling parents on the WQSB territory have frequently had to deal with Youth Protection visits merely for refusing to sign the school board contract, or for not submitting an “adequate” education plan, as perceived by school board administration. Anna, homeschooling mom of five in the Western Québec region, withdrew her oldest child from school over five years ago. At the time, she spoke with an administrator of the Western Québec School Board, and was threatened with Youth Protection two minutes into the conversation. She had previously heard stories of the school board’s harsh treatment of homeschoolers, and discovered the stories proved true. Recently, Anna received news from WQSB announcing a proposed new homeschooling policy. At the time, she was with a group of parents who were all shocked as they gathered around and read the email. Worse, they all felt at a loss as to what to do. Anna says that she was grateful that a homeschooling mom on the WQSB territory, Tammy, vaulted into action and contacted HSLDA. A few other members also contacted HSLDA as they received the same notification. The legal team at HSLDA planned their strategy and advised parents to contact their commissioner to make them aware of what homeschooling is about and to open their eyes to the treatment their school board gives homeschooling families. Commissioners are elected school board officials who are accountable to the public they serve, and are the ones who ultimately approve new policies. The commissioners were baffled and surprised at the emails, calls, and letters they received from various parents. Many came anonymously from “unregistered” families for fear of reprisal from the school board. The overwhelming majority of homeschoolers on the WQSB territory are not “registered” homeschoolers because the aura of fear in the territory drives them away from what they call “harassment” and “discrimination”. They told their stories of hardships as homeschoolers under a heavy-handed administration. The next step was to organize parents to attend the meeting of the Council of Commissioners to give them faces to go with the calls and emails. Two brave parents and HSLDA representative Louise Frazer addressed the Council to publicly alert the council to the dangers of pushing the homeschooling policy through without consulting homeschoolers. Although they received neither answers nor promises, hope was born at that meeting, and parents previously unknown to each other connected and reinforced each other’s resolve. Following the council meeting, two of the commissioners asked to informally meet with some of the registered parents to hear their stories. They not only told their stories, but offered solutions to the various problems. Anna was among them. She firmly believes that school board officials and administrators need to be educated about homeschooling. She compares an administrator who doesn’t like or understand homeschooling and yet is overseeing homeschoolers to a nurse who doesn’t approve of breastfeeding yet tries to coach a new mom on nursing her new baby. If education and communication is one of the ingredients to see a successful policy, there definitely is hope. Many of the registered parents are willing to sit down and to discuss homeschooling with school board officials. One of the commissioners requested that HSLDA President and Senior Legal Counsel, Paul Faris, contact him, and after an hour long conversation, the commissioner welcomed HSLDA’s input on the draft policy, which we submitted, and even discussed meeting in the fall. All of this has encouraged and empowered the parents, including Anna. She and two other homeschooling moms accepted interviews with a local newspaper to further explain the trials homeschooling families have been through. In so doing, Anna revealed she is homeschooling more children than what the school board has on record. Anna felt that the risk of harassment by WQSB was worth the exposure. She says homeschoolers in her region have “gone from a subversive group to having a voice…” and “the more voices speak, the better.” She says, “HSLDA needs to be the touchpoint for that…an outlet to tell the stories.” Parents are eagerly waiting to see what happens next, and HSLDA will continue to work closely with members in the region and tell their stories.